These days, when people talk about the do it yourself ethos in music, they probably have hip-hop artists in mind. But it’s difficult not to affix that label to Ty Causey. Causey deploys the tools of modern music making while proving to be an adaptable artist who manages to create music that has the sensibility of the type of smooth R&B made in the 1980s and 90s. This has allowed Causey to produce and thrive in many respects despite being an adult orientated R&B crooner in a market geared toward catering to the tastes of younger audiences and being based in a place that is more than a hop, skip and jump from the nearest metro areas of Chicago and Indianapolis. Causey has released fourteen albums – including his latest, Mr. Mellow – since coming on the scene in 2004 with N-Tysing. Causey achieves this level of productivity because he has a hand in nearly every aspect of the process. He wrote and produced all 11 tracks on Mr. Mellow. Causey also performed all lead and backing vocal parts. Causey also knows what he wants to say, so Mr. Mellow has the virtues of work created by an artist possessing a clear sense of what he wants to accomplish and who knows where his strengths lie. Causey is a romantic crooner even when he is singing more up-tempo cuts such as “I Can’t Let Go” or “Shake and Dance,” but those crooner chops are used to their best effect on the slow jams. Cuts such as “I Just Love Ya” and the title track, “Mr. 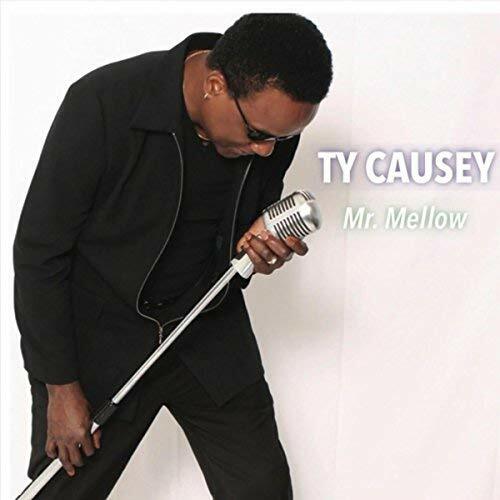 Mellow” showcase Causey’s vocal range as someone who can go from his muscular baritone to a sweet high tenor and even falsetto. Those numbers are also stronger lyrically.